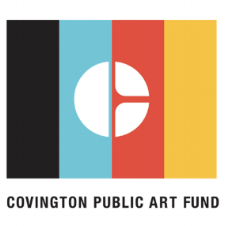 The Public Art for Covington Fund was created in 2014 to develop resources to place art in the City of Covington which reflects its rich history and culture. In the 1970s and 1980s, a group of the Northshore's brightest creative minds met weekly for lunch at the Mandeville lakefront. "There was a lot of laughing," said Lyn Taylor, a Covington artist who was one of the group's original members. Noted author, the late Walker Percy, always occupied the head of the table and was always "in charge," Taylor said. And as Percy's fame grew, so did the lunch's attendees, including visits by actor James Mason and Broadway's Jed Harris. Covington sculptor Bill Binnings, and one of the group’s core members, is in the midst of completing two bronze sculptures of Percy, known for his philosophical novels set in and around New Orleans. The almost 9-by-4 foot sculpture of Percy has been placed permanently in Bogue Falaya Park in Covington. Entitled "Gateway," it's intended to draw viewers into what was Percy's life as an award-winning writer. 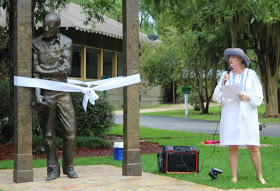 The sculpture features Percy leaning in a doorway, which will serve as a sort of "gateway into Walker's world," Binnings said. The titles of all his books will be "incised into the bronze framework," he added, yet they won't jump out at the viewer. 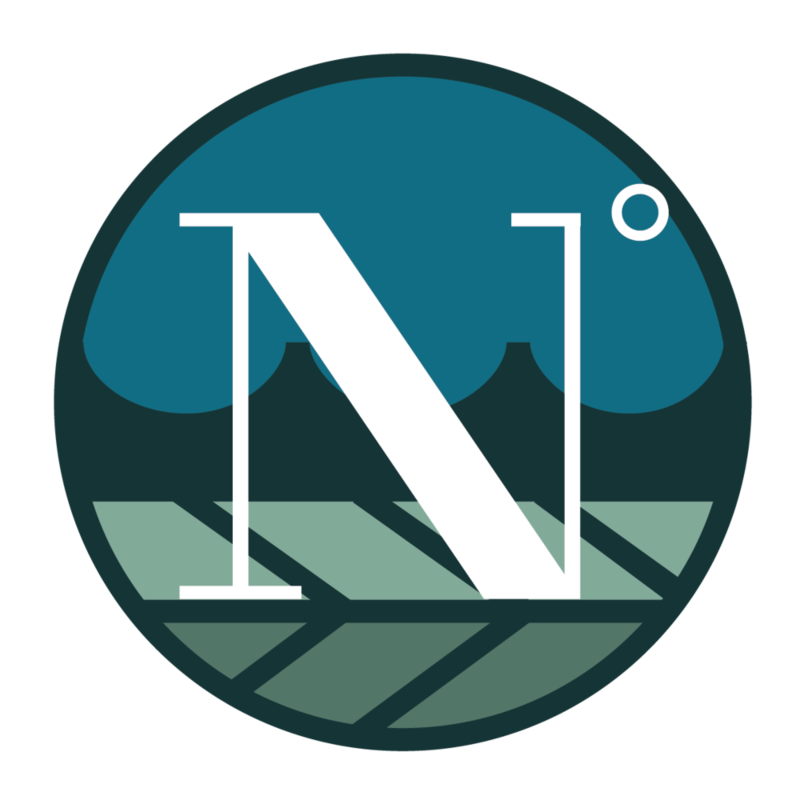 There is a "subtle shadow line within this large framework. The fact that it's the negative that you see -- not the positive -- your eye is going to catch these shapes....It's readable, but your mind has to make a shift because it's pattern, not a sign," Binnings said. "And when your mind makes a shift into pattern, you're thinking like he does." The framed gateway also includes a quote from Percy's debut book "The Moviegoer," which was released in 1961 and won the U.S. National Book Award for Fiction. That quote - "he puts one foot toward the door but neither quite stays nor leaves" - actually was the "conceptual seed for this piece," Binnings said. "That's what he's done here. His influence is still here. A very strong memory of him is still here, so he hasn't quite left. But he's not here either. He hasn't quite stayed. This is the piece that defines that concept." Percy stands at more than 7-feet tall within the frame, in a way a nod to the author's larger-than-life presence. His expression is designed to make viewers stop and "think about what you're doing," Binnings said. "It invites you into his thoughts metaphorically."